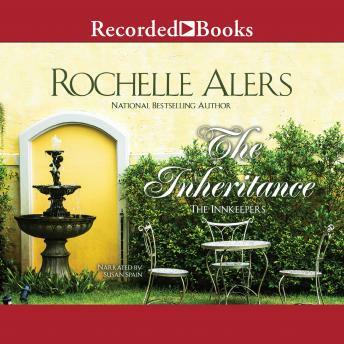 In bestselling author Rochelle Alers' passionate, uplifting new series, four friends from very different backgrounds find new beginnings amid the sultry beauty of New Orleans. Corporate attorney Hannah DuPont-Lowell always pictured herself returning to New Orleans to retire-just not yet. But after her Manhattan company abruptly lays off its staff, there's no better place to figure out a next move than the porch of her plantation-style home. Nestled in the stunning Garden District, the DuPont House has been in Hannah's family for two centuries. With its eighteen rooms and two guesthouses, it's far more home than widowed Hannah needs. Still, it could make a wonderful inn, especially if she can convince her friends and former coworkers Tonya, Jasmine, and Nydia to join in the venture. But in the meantime, Hannah has a high school reunion to attend. College Professor St. John McNair, Hannah's one-time classmate, is still the finest guy in any room. Between Hannah's willowy, blonde beauty, and his uncanny resemblance to Marvin Gaye, they make a striking pair. And gradually, their rekindled friendship moves toward romance. Still, Hannah is too bruised by her late husband's infidelities to trust a man again. But her friends' arrival and encouragement just might show her a path through uncertainty-straight to a vibrant, joyful new life.